Is anyone else out there like me? I will think about characters from a book that I loved long after the last page is turned. So series are great because you know you are going to get to see them again:) These are a few books I am dying to get my hands on. This is a Seven Kingdoms book. I LOVED Graceling and Fire! They were both epic! If you have not picked them up do it now! I know there are a lot of people up in arms over this book because it’s Bitterblue’s but I am just super excited! The third book in the Paranormalcy trilogy. OK, so this cover was just reveled last week. I want the dress! (Yes, I know that has nothing to do with books) Anyway, I bleepen love the Paranormalcy series. It is made of awesome! It’s fun and fast, but as I’m reading I care about every single character. I don’t want this to be the end…but I am so excited for it to get here. So there is no official blurb or description of Tangle of Need as of yet that I can find,but you can read an excerpt on Nalini’s website. This revised cover was reveled on October 18…and dang look at those eyes! Tangle of Need is the eleventh (yep that would be #11) book in the Psy-Changeling series. Now this is a paranormal romance series, so if you hate PNR I am sorry, but I love this series! I am hooked and will stick with it until the end. 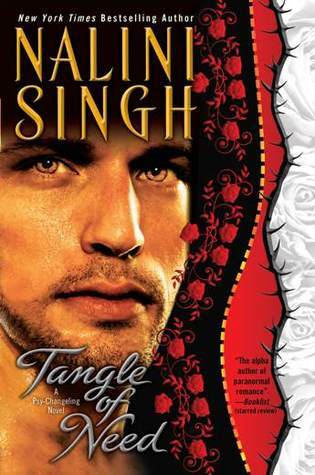 Tangle of Need is Riaz and Adria’s story. What I love about the series is it doesn’t drop characters, the Changeling world continues to build from one book to the next. So those are just a few series I’m in love with. Are there any you love that you would like to share? let me know in the comments. 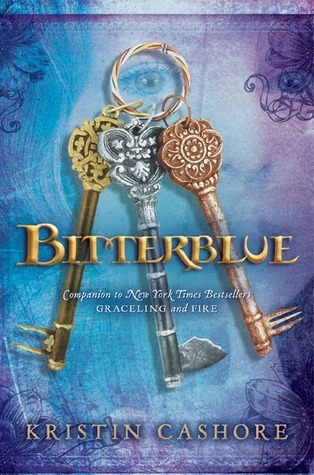 I am absolutely dying to read Bitterblue. You are so right that Kashore's Graceling series is epic. It is definitely YA fantasy at its very best. Rebecca! I think you may have helped me out here without even knowing it! I heard a podcast talking about a fantastic series about changelings and psy-changelings one time and they recommended it big-time, but I never could find the link to what series they were talking about...are there courtesans in this series? @The Happy BookerI so agree!